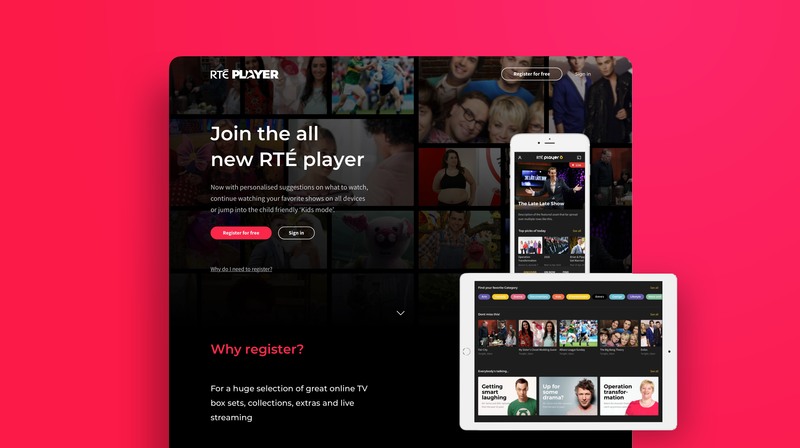 RTÉ Player is an on demand video service provided by Irish public broadcaster RTÉ (Raidió Teilifís Éireann) for programmes broadcast on RTÉ Television. 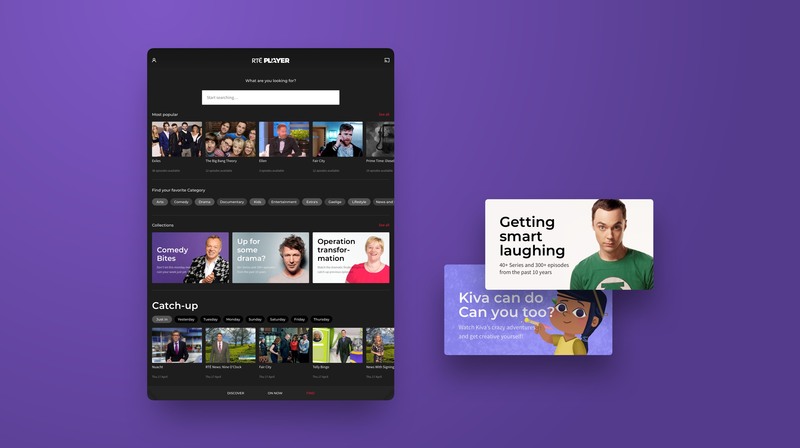 24/i media asked +Drie to take on the Creative Direction and lead the redesign of RTÉ's already hugely popular catch-up platforms. We kicked-off with an immersive co-design session on site in Dublin. By including stakeholders from all involved disciplines, we managed to quickly set a foundation that would get early support throughout the entire organization. 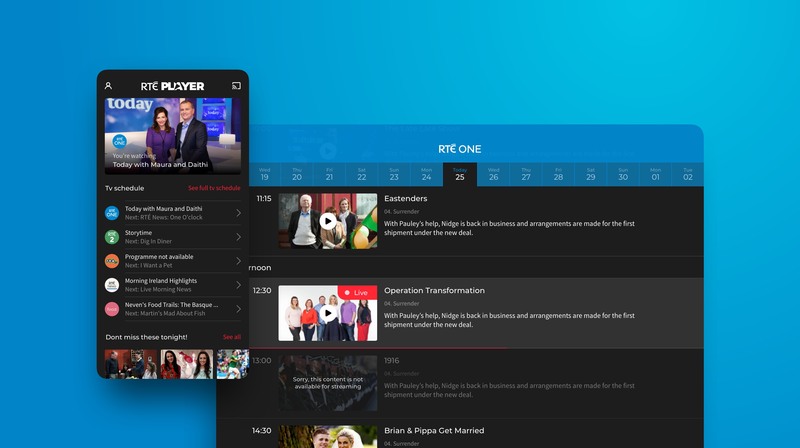 Through maintaining close collaboration with RTÉ’s content, design, and external development teams, we came up with a re-usable layout solution for the entire array of platforms and worked out a modular design system that enables the product & design team to quickly iterate and test on all available platforms. We would love to tell you more about how we helped RTÉ redesign their highly successful catch-up service.